We are all unique. God created us with different personalities, passions, and interests. Though we are all different, God woos each one of us. He relates to us and draws us into a relationship with Him. Psalm 139 intimates that God was very active in our unique design but David writes, “You have searched me and known me.” I am intrigued by that word “searched”. God designed David. He knew him intimately. But David, in this poetic passage, relates it with a spin of humanity. You see, for us to know someone with even a fraction of the depth with which God knows us, we have to do some searching. It requires effort. The more invested we are in a relationship, the more time and effort we have to put into the process of knowing the person. In my spiritual life, I sometimes get so busy serving and talking about God, that I fall short when it comes to knowing Him. I have to slow down and search Him out. Can you relate? It can happen in the parent-child relationship too. The tasks of parenting can preempt the real goal. Can you look beyond the duty of the moment and really see the person God entrusted to you? Do you know what motivates them? Do you know their passions and fears? Do you know what discourages them or what lights their fire? Gary Chapman’s book, The Five Love Languages, encourages us to know each other’s connecting points. Do they thrive on praise? Do they love it when you serve them in some way? Is a gift the thing that really opens the door to their heart? Maybe they just want some one-on-one, undisturbed time with you. Possibly they need a hug or many hugs. Slow down. If things are tense with your teen right now, take time to search them out. Look for their fears, aspirations, and motivations. Find the things they love and enjoy them together. Look for opportunities for conversation, laughter and just being together. As we approach this time of year when schedules can spin out of control, find time to search out your teen and get to know them a little better. 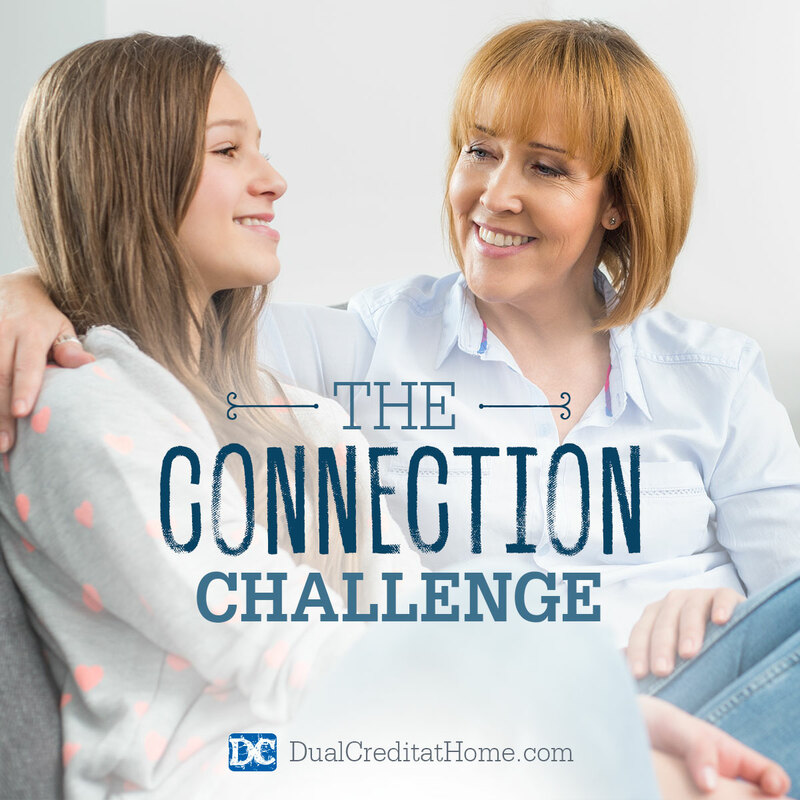 Rise to the challenge: do what you can to connect with each one of your children as the individuals they are. Sign up for our free 25 Days of Relationship Building with Your Teen email challenge! You’ll discover creative ideas for connecting with your teen during the Christmas holidays!